COLUMBIA, Mo. – As a growing population of older adults begins transitioning to assisted living or home health care, more attention has focused on improving the adults’ quality of care while keeping costs low. New research from the University of Missouri suggests adding social workers and social work students, who are supervised by a field instructor, to the care team may be one solution. The researchers interviewed employees, from a variety of disciplines and positions, at TigerPlace, an independent living facility in Columbia, Missouri, who had interacted with graduate social work students, residents and residents’ families. The researchers asked staff members how the students contributed to client services, staff workload and family and client communication. Staff members said they viewed the social work students as resources and sought their advice on communication strategies as well as behavioral and mental health issues. Staff members also reported the social work students positively contributed to client care and clients’ quality of life by increasing communication among clients, families and staff. Because of the qualitative nature of the study, Galambos said the study results cannot be generalized. However, she said the study findings should encourage health care administrators to think carefully about staffing changes when faced with budget cuts. The study, “Staff perceptions of social work student contributions to home health care services at an independent living facility,” was published in Home Healthcare Now. 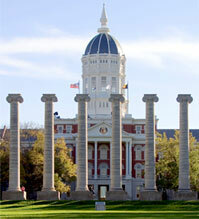 Galambos is a professor in the School of Social Work, which belongs to the MU College of Human Environmental Sciences. MU co-authors include Julie Starr, a nurse practitioner at MU Health; Katy Musterman, nursing manager of Aging in Place at TigerPlace; and Marilyn Rantz, Curator’s Professor Emerita at the MU Sinclair School of Nursing.